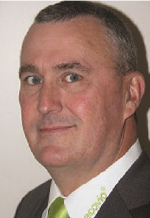 Peter Wadewitz has been involved with many organisations such as Waste Management Australia, Compost Australia, Compost for Soils and the newly formed AORA group. He also won South Australia’s Environmentalist of the year award in 2006. 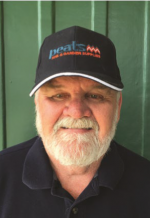 Peter is the Managing Director of Peats Soil & Garden Supplies. He has been commercially processing compost for over 40 years. He is also the inventor of the BiobiN® a waste management in vessel composting system offering an alternate solution for businesses when it comes to dealing with their organics. Peter’s commitment to the growth and prosperity of the organics recycling industry has led to appointments to the Barton Group’s Export Task Force and the Prime Minister’s Science, Engineering and Innovation Council. Peter was also a leading figure in developing the Australian Compost Industry Roadmap. Martin graduated from the Royal Military Academy Sandhurst and served as a British Army and subsequently Australian Army officer. On leaving military service, Martin completed an MBA and moved into management consulting which lead to engagements in sustainable energy development where he had a leading role in the establishment of a waste to energy company specialising in the application of high-powered ultrasonics to anaerobic digestion. Duncan commenced his journey in the resource recovery industry in the year 2000 whilst undertaking 3rd year university projects in the then newly developing urban garden organics composting industry. Duncan attended the University of Western Sydney, Hawkesbury, completing the Bachelor of Landscape Management and Conservation with Honors and majoring in Soil and Water studies. Duncan has worked consistently in the composting and resource recovery industry in both an operations and sales capacity and has furthered his studies in the fields of biological farming and commercial composting in this time. Duncan has a passion for seeing organics materials processed and returned as a beneficial input in both urban and rural landscapes. Duncan currently works for Suez recycling and recovery and resides in Newcastle, Australia. 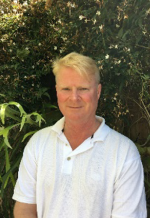 Michael has a Bachelor of Commerce and a Graduate Diploma in Applied Science Horticulture and has worked in the organic recycling sector and container nursery production for over 30 years in Marketing, General Management and Director roles. Michael provides consulting services to a range of clients in organic recycling through his Consultancy business Oakwood Consultants Pty Ltd the fields of strategic planning, marketing, technical and quality systems, environmental management, compliance and general management issues. Michael also provides agronomic advice on compost and recycled organics use in client soil health programs to horticultural clients. Michael led the formation AORA in Victoria and the transition of the former Compost Vic group into AORA Victoria. Rowan has extensive experience in the practical implementation of solutions for biopolymers ranging from organics management, the applications of composted organics and soil amendments for improvements in soil health, use of biodegradable mulch film and the merging of these two applications for improvements in horticulture and agriculture, with organics inputs. Rowan has been with BASF for 13 years and previously spent time in senior management roles, with other multinational companies. Rowan is currently the President of the Australasian Bioplastics Association, the peak industry body for the Bioplastics industry across ANZ and with global affiliations in Europe, the US and Asia. Frank Harney is an accomplished 3rd generation farmer, the managing director of Elmore Compost & Organics and a community minded leader. Raised in a rural town in Central Victoria, he embraced running the family farm at a young age whilst being an active member of his community. With big picture thinking and a hands-on approach to leadership, Frank has consistently contributed to the momentum of his local community, by serving as the President of the Elmore Field Days, Apex Club, Football Club and co-founding the Elmore Charity Ball Committee, among other projects, spanning more than 30 years of service on boards and committees in Victoria. Frank’s innovative approach to farming practices has ensured that over the past ten years he has become more involved in the compost and organics industry, first with the development of a rich organic compost and now a determination to redefine the agriculture industry. With a focus on healthy soils, he is particularly passionate about educating both farmers and consumers and getting more organic compost into agriculture, horticulture and viticulture. He is also keen to further develop application equipment and composting best practices. Charlie is the General Manager of SOILCO Pty Ltd, an organics recycling company located at Kembla Grange NSW. Charlie joined SOILCO in 2001 and over the past 17 years has overseen the growth of the business through focusing on its core competency; provision of organics recycling services and production of quality assured soil, compost and mulch products. A fundamental aspect of Charlie’s current role is strategic planning and implementation of business development initiatives. Charlie has a Bachelor of Science majoring in Environmental Biology. Prior to SOILCO Charlie worked with a range of environmental, landscaping and horticultural businesses.